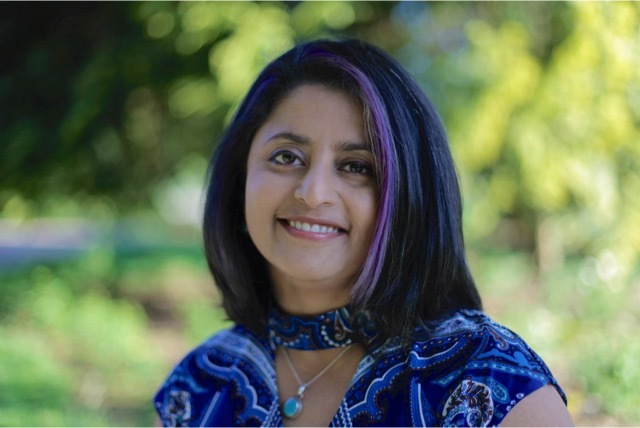 Sudeshna Sen is Northwest Film Forum’s new Board President. She has served on the board since 2014, most recently as Vice-President. “It is a great honor to be part of an organization that promotes public dialogue through film and visual art, an organization that stands up to discrimination and speaks up for the disenfranchised. I look forward to continued collaborations in creating and celebrating artistic expression,” Sen said. Sen is a Seattle based director and writer. Her debut short film Julia’s Farm is currently streaming on KCTS9 through ReelNW. Julia’s Farm screened at Local Sightings Film Festival, One Reel Film Festival at Bumbershoot, Riverside Film Festival and at HollyShorts Film Festival in L.A.
Sudeshna is currently in post-production for her new short film. She is involved in many local films – Thin Skin (dir. Charles Mudede, currently in pre-production), Sadie (dir. Megan Griffiths), MOPZ (dir. Todd Rohal), and My Last Year With the Nuns (dir. Bret Fetzer) to name a few. Sudeshna completed her Ph.D in Classical Japanese literature at University of Oregon, and a Post Doctoral Fellowship at UC Berkeley. Before becoming a filmmaker she taught Japanese literature and visual culture at the University of Washington and at the University of Utah. Sen steps into the president role as NWFF opens the 20th edition of Local Sightings, the only festival in Seattle dedicated to Pacific Northwest films and filmmakers. The opening weekend will be filmed by the Criterion Channel on FilmStruck for a portrait of Northwest Film Forum, to be featured on “Art-House America,” an original Criterion series that spotlights renowned art-house theaters across the country. NWFF and SIFF will co-present the 20th anniversary screening of canonical Seattle music documentary Hype! at the Egyptian during the festival, with the director and subjects in attendance.